Book Week 2018 is celebrated in many schools and libraries around Australia. The theme this year was Find Your Treasure. There were riches and treasures aplenty in books and reading for all ages this year. Below are some reading ideas and resources students and parents/carers can enjoy. Australian Reading Hour is held on Thursday, 20th September. It is something students and parents/carers can enjoy together. All you have to do is pick up a book and read for just one hour at any time on this day. Reading itself is known to have many benefits: the sheer pleasure of being gripped by a thrilling or imaginative tale of adventure, being immersed in a completely different world, or being captivated by engaging characters. A report on the 2017 Australian Reading Hour highlighted the health benefits associated with reading. One of these being that the simple act of reading reduces stress by 68%. Reading was also found to relieve stress quicker than listening to music, going for a walk or having a cup of tea! The Reading Hour is supported by libraries and booksellers around Australia, so it may be well worth checking out your local library or bookseller for related events. For more information, please click here. There are several groups that seek to explore and promote the best in children’s literature through annual awards and commendations, as well as books and authors of note. This may be through a panel of expert and dedicated readers of children’s and Young Adult literature, or directly through popular choice of child and young adult readers. 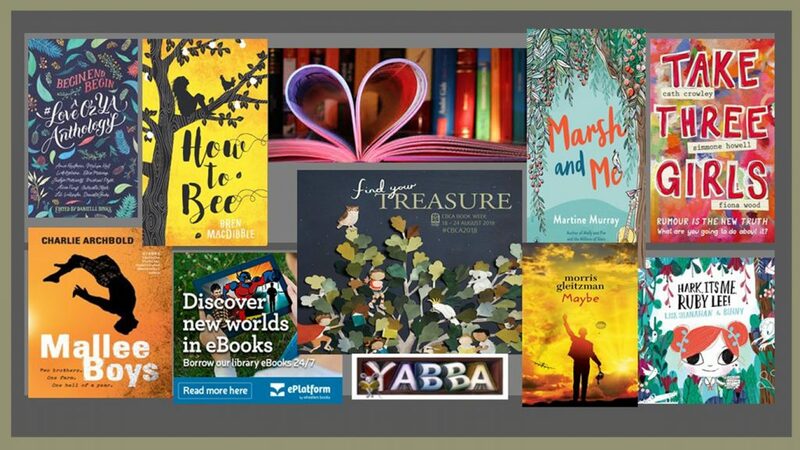 Since 1945, the CBCA Book of the Year awards have recognised and celebrated the best in Australian children’s literature, presented in a range of categories: Older Readers, Younger Readers, Early Childhood, Picture Books (for older readers) and Information Books. Click here to discover some fantastic Australian books to read. Book Week is an annual themed celebration of Australian children’s literature and reading. Students from Prep/Foundation to Year 9 can vote for their favourite book. They can choose from a selected list of nominated books or choose their own. For more information, click here. Voting is open until Friday, 19 October. The Inky Awards recognise high-quality Australian and international Young Adult literature, with longlisted and shortlisted books selected by young adults. The winners are voted for online by the teen readers of Inside a Dog (the YA reading space of the State Library of Victoria). For more information, click here.